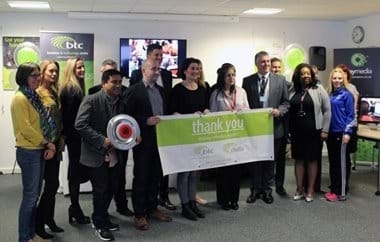 The Business & Technology Centre (btc) on Bessemer Drive, Stevenage currently has 99 businesses based within their offices and workshops, as well as 37 new start-ups using their shared workspace facility. The centre will be holding a client Thank You Event for a second year, based on the success of the previous year! The event will be hosted by the managing agent of the btc and not-for-profit organisation, Wenta, in partnership with Stevenage Borough Council. Set to take place on the 16th March (12:00-16:30), the event is completely free and will feature a complimentary lunch, networking opportunities, an exhibition of btc and Wenta client businesses, plus so much more! It's our way of thanking all our loyal customers and clients. We are also excited to offer our clients three hot-topic masterclasses at the event, two of which have been created by our own btc client businesses. The GDPR masterclass will be presented by 'Trust Business Partners' and the Digital Marketing masterclass will be presented by 'Relton Associates'. The PR masterclass has been designed by 'JournoLink', a team of PR experts with an online platform of PR tools who also attended and presented at the event last year. The food will provided by btc bistro management company ‘EatLunch’ and we are certain that the free lunch, teamed with a fun and professional atmosphere, will provide a relaxed approach to networking and knowledge sharing. knowledge sharing. If you’re looking for new workspace, business start-up advice or would like more information on the btc visit www.btcstevenage.co.uk or call 01438 310000.